at Photospace Gallery, Level 1, 37 Courtenay Place, Wellington. The show will run till 30 October. It features posters, prints, paintings and masks by Toothfish and its acolytes. For more information please click here to go to Toothfish's website. 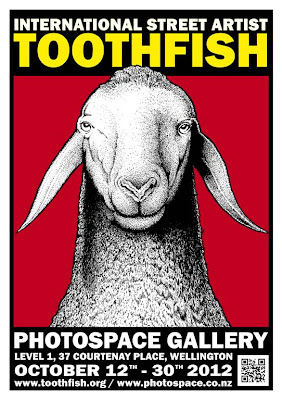 the ‘international’ street artist (or artists) who operate under the name Toothfish. who organised a Toothfish exhibition earlier in 2012. This friend had never met the artist either. wearing what looked to be a mask made from a horse’s skull. and she even denied that it was in fact a mask." So, Toothfish is not your average street artist. 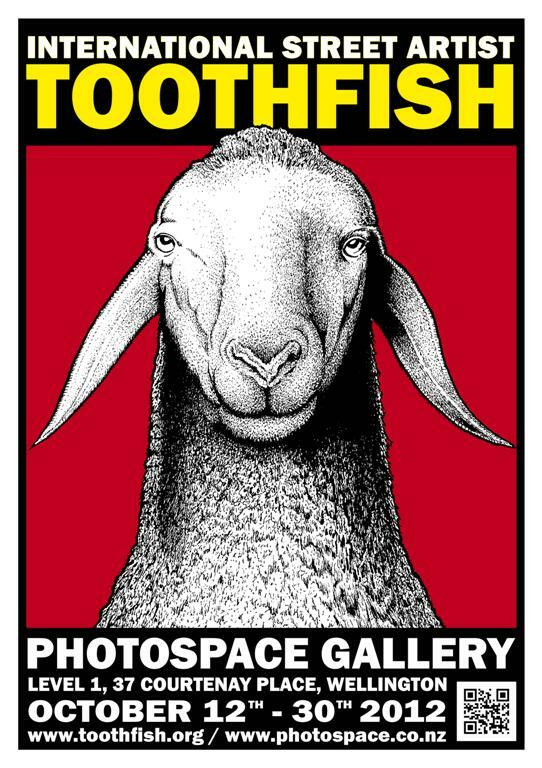 Toothfish posters have appeared all over the world.